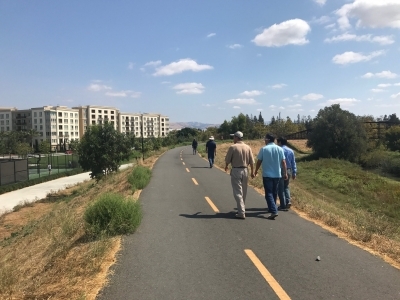 Part of the San Jose Trail Network, the Highway 237 Bikeway Trail serves as a primary commute route between employment and housing within San Jose and its neighbors; Milpitas and Sunnyvale. Along Highway 237 in Santa Clara County, between Coyote Creek and San Tomas Aquino Trail. 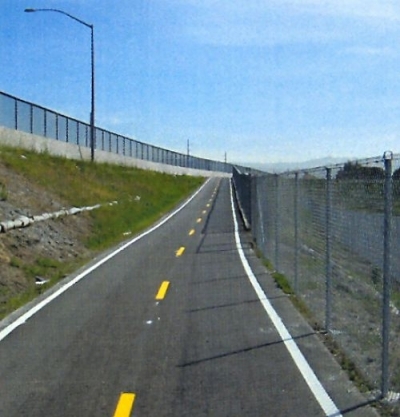 Along the Highway 237 Bikeway Trail, users follow the highway system but gain views of surrounding hillsides and can connect to two of the City's major trail systems; the Guadalupe River Trail and Coyote Creek Trail (both partially developed at this time) and reach the San Tomas Aquino Trail (City of Santa Clara). Great day for pictures. Photo by John Ansbro.